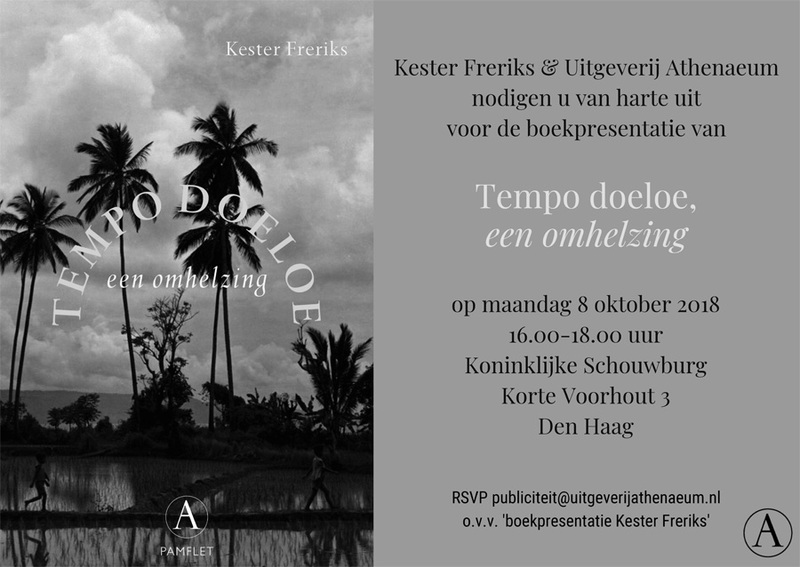 On Monday October 8, 2018 the pamphlet “Tempo doeloe, an embrace” will be published, written by Dutch author Kester Freriks. He was born in Jakarta in 1954 and has written numerous fiction and non-fiction books about the former colony of the Dutch East Indies as well as about contemporary Indonesia. In the 1950’s his father worked as a telegraph operator for KLM and later the Indonesian airline Garuda. 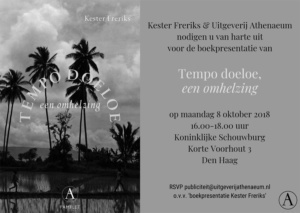 This is the Introduction and the Epilogue of Freriks’ newest book. The book presentation will take place in the Royal Theater (Koninklijke Schouwburg) in The Hague. Dutch people with a connection to the former colony could never forget about their world in the tropics. On one hand the country lives on in their memories as a paradise in the Indonesian archipelago, but on the other hand they remember the brutal violence that dominated the country, especially in the period after president Sukarno proclaimed the independence on August 17, 1945. Certainly, many thousands [Dutch people] still have good memories about the Dutch East Indies, although they come from different ethnic groups: the Dutch, Netherlands-Indies and even the Indonesian population. Their memories go back to a positive and beautiful time. The time of “tempo doeloe”, the period somewhere between the second half of the nineteenth century until the start of World War II in Asia in 1942. But because of the recent studies on decolonial violence, these people feel like their [beautiful] memories are taken away from them. This pamphlet advocates a rehabilitation of the colonial past, a dangerous subject nowadays in times of political correctness. Again, in this book there is attention for what this country of origin still means for thousands of people [in the Netherlands.] 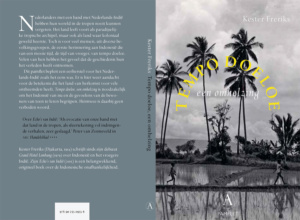 “Tempo doeloe, an embrace” is necessary in these postcolonial times to understand the feelings of Indonesia’s inhabitants of the past to connect them to contemporary Indonesia. Nostalgia is no longer a forbidden word. His opinion, which contains a lot of nuance, was written following my latest book. “Echo’s of the Indies. The independence of Indonesia in stories and memories” (2015) has also inspired me to write this pamphlet. Another motivation comes from the four-year research “Decolonisation, violence and war in Indonesia, 1945-1950,” which the Dutch government announced to fund on December 2 2016. The study was assigned to three institutions, namely The Royal Institute of Language-, Country- and Ethnology (KITLV), the Netherlands Institute of Military History (NIMH) and the Netherlands Institute for War-, Holocaust- and Genocidestudies (NIOD). After the aforementioned institutes launched the project on September 14 2017, Jeffry Pondaag, chair of the Committee of Dutch Debts of Honor (K.U.K.B.) together with Francisca Pattipilohy, wrote an open letter to the Dutch government. The letter dated on November 27, was entitled: “Questions about the Dutch research project.” The letter was signed by 124 people with expertise in colonial history and suggests “not only to take the violence as starting-point but the whole colonial context.” This pamphlet wants to express the meaning of this colonial context and by doing so I agree with the content of the letter.